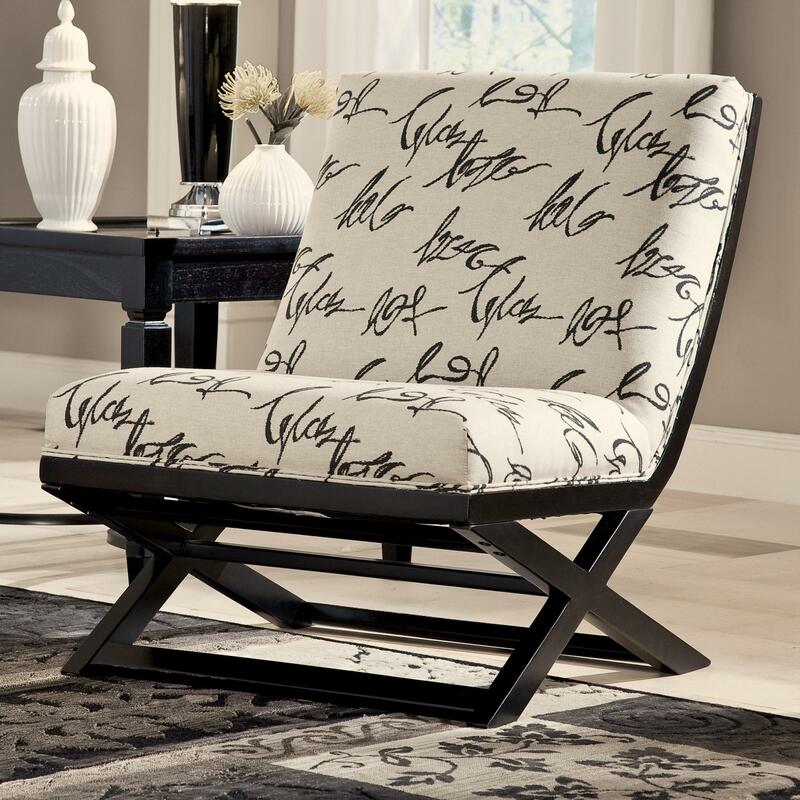 An abstract calligraphy style script in charcoal on a neutral backdrop adds distinction to this armless contemporary accent chair with a high back. Two rows of welt trim and an X-style base in a dark woodtone finish make this chair a stylish accent anywhere you place in your home. For a living room to a master bedroom, this chair offers just the right amount of whimsy to your decor. The Levon - Charcoal Armless Showood Accent Chair with Abstract Script Fabric by Signature Design by Ashley at Michael's Furniture Warehouse in the San Fernando & Los Angeles area. Product availability may vary. Contact us for the most current availability on this product.